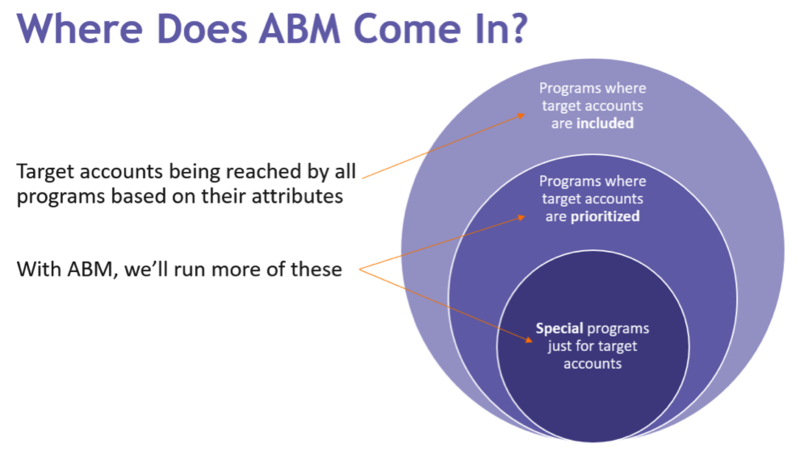 But is ABM right for you? Both strategies have their benefits, so it depends on your objectives, the market you sell to, and your product/price point. Generally, ABM is the way to go when you have a large target market with hundreds and thousands of prospects, and need to narrow down your focus to high-value accounts. With ABM, you can focus your time and efforts on running campaigns that are personalized to target accounts. While this is fairly obvious, you can’t do full blown account-based marketing if you don’t even know what accounts you’re targeting. To get this right, you need to work in close conjunction with sales. ABM will not work if sales isn’t onboard, since it requires both marketing and sales to focus their resources on the defined set of target accounts. Once you work with sales to build an initial list, you can use lead scoring to help stack rank the accounts to make sure everyone is focused on the ones with the highest propensity to close. Tip: There are many options for predictive scoring, so take the time to research them. With the right solution, it can add another helpful lens to prioritizing your account list. Next, you’ll want to map those accounts to marketing personas better understand which divisions are the right ones to target. You need to understand what challenges the account faces as a business, how decisions are made in the organization, and who makes those decisions. 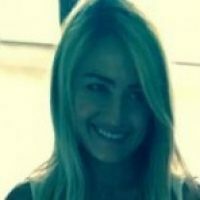 This sort of information is critical to an effective ABM initiative. There are different approaches to building out white space, so this should be an ongoing effort. Tip: Agree on a timeframe to lock in the target account selection. Target account programs, in many cases, take time to work–so you don’t want to switch out the accounts too frequently. Targeted customers are more likely to engage with content that is tailored specifically to them. According to MarketingSherpa, 82% of prospects value content made for their specific industries, and 67% say the same of content created for their specific job functions. And because ABM is inherently more personalized, you’ll have a great opportunity to provide prospects from target accounts with content and messaging that resonates with them and is relevant to their business and stage in the buyer journey. Tip: Try to leverage the content you already have and make small adjustments as needed so that the content or offer really speaks to your audience. For example, if you’re targeting accounts in a specific industry, you can repurpose a more general ebook and add in more examples and case studies from other companies in the same space. At the end of the day, your target accounts are similar to your other buyers in that they’re on a multitude of different channels every day. To effectively reach and engage them, you will need to execute cross-channel campaigns, targeting the right people in your target accounts on different channels and leveraging the personalized content you pulled together in the previous step. And remember, you’ll need to do this in tight coordination with sales so that they can understand how each target account prospect has engaged with your company. Tip: Set up an entitlement framework so it’s clear what certain accounts (top tier) receive from a program perspective and others (e.g. tier 1 or tier 2) do not. 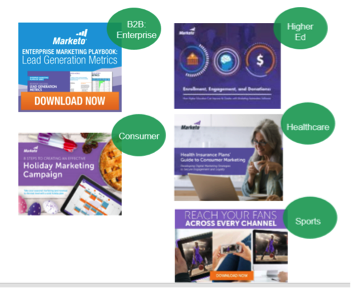 For example, at Marketo, some of our top tier accounts receive direct mail from us while our tier 2 accounts do not. I’ve said it before and I’ll say it again– as with any good marketing initiative, you’ll want to measure and analyze your results over time so that you can continually optimize your campaigns. It’s not about ONE metric either, but which set of metrics matter to your business objectives. Tip: It is ideal to look at success throughout different time points so you can make adjustments as needed. Some metrics, like pipeline and revenue, take more time to mature, so measuring your campaigns throughout time allows you to get a holistic view of its impact. Measure as you first launch a campaign, while it’s running, when it ends, and three to six months down the line. Interested in learning more? 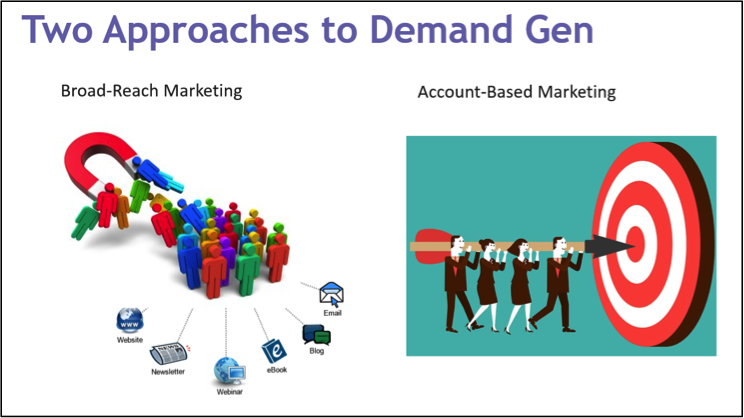 Check out our webinar tomorrow on The Essentials of Account-Based Marketing as we go through how to get started with ABM and focus on what really matters.